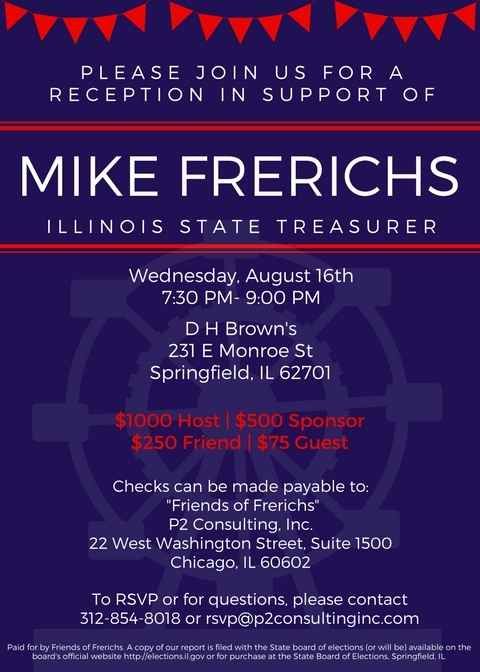 Please join me on Wednesday, August 16th for my annual event during the Illinois State Fair! The event will take place at D.H. Brown's at 231 E. Monroe Street in Springfield from 7:30 to 9:00 PM. To RSVP, please follow the link HERE or see the invitation attached below for further information. If you have any questions, please don't hesitate to call us at 312-854-8018. Hope to see you on August 16th!